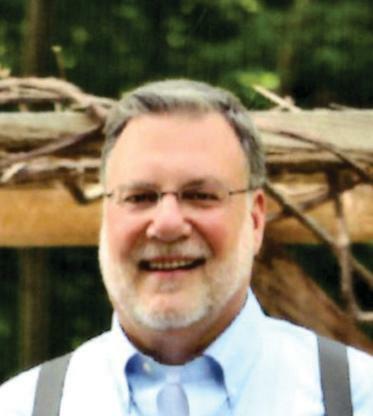 Obituary for Ronald J. Klonicki | Glunt Funeral Home and Crematory, Inc.
Ronald Joseph Klonicki, 64, of Edinboro, died Saturday, June 2, 2018 at UPMC Hamot. He was born in Johnstown, PA on July 25, 1953, the son of Helen Klonicki and the late Joseph Klonicki. He was a member of the McLane Church, The Edinboro Historical Society, and the Erie Photography Club. He loved to cook and most of all loved spending time with his wife, Carol, of 42 years, in which they originally met when they were 17. He enjoyed vegetable gardening, spending time with his Chihuahua, “Jasmine”, and his grand dogs Turk and Cedric. He also enjoyed traveling, especially in their RV and taking photos. He worked at Erie County Human Services as a Program Director for 30 years and the Gertrude Barber Center prior. He was preceded in death by his brother Joseph Klonicki. Survivors include his wife of 42 years, Carol Ann (Brehm) Klonicki; 2 daughters: Sara (Justin) Northup, of Edinboro; and Emily (Emmett) Kilhoffer of Germany, also 2 grandchildren, Jack and Lucas. Friends may call at the Glunt Funeral Home and Crematory, Inc., 210 Erie Street, Edinboro, on Thursday, June 7, 2018 from 2 to 4 and 7 to 9 p.m. A service will be held at the McLane Church on Friday at 10:00 a.m.
Burial will be held at a later date in Benshoff Hill Cemetery in Johnstown, PA. The family requests, if you would like to send flowers, please bring fresh ones from your garden to the funeral home before the calling hours or with you when you come in. In lieu of flowers, memorials may be made to the Dr. Gertrude A. Barber Foundation, 100 Barber Place, Erie, PA 16507. To send condolences please visit www.gluntfuneralhome.com.